We Can Repair Any Garage Door, But We Only Install The Best At Prices That Will Surprise You. Fastest lifting doors, and the quietest motors on the market. Serving up to 100 miles outside of the Onalaska, WI area! Overhead Door Company invented the upward-lifting garage door in 1921. Expect Quality Products. Expert Installation, Service & Support. Pricing that will make the choice clear. My wife and I live in La Crosse, WI and had a new garage door and opener installed. I had checked Menards because of a low price I saw advertised on TV, but after trying spending 1 week to find someone who could install it for another $100…nobody returned a call!! I called the Overhead Door Company in Onalaska and they had it done in 3 days, for LESS MONEY INSTALLED. Our Pricing Will Surprise You! While our reputation of quality & service might make you think we are more expensive, we generally meet or beat big box store prices, even though we offer higher quality products & expert services. A product is only as good as the people you buy it from. We will be there when you need us! We will be donating a portion of our profits to La Crosse & Onalaska area charities that support chronic illnesses. 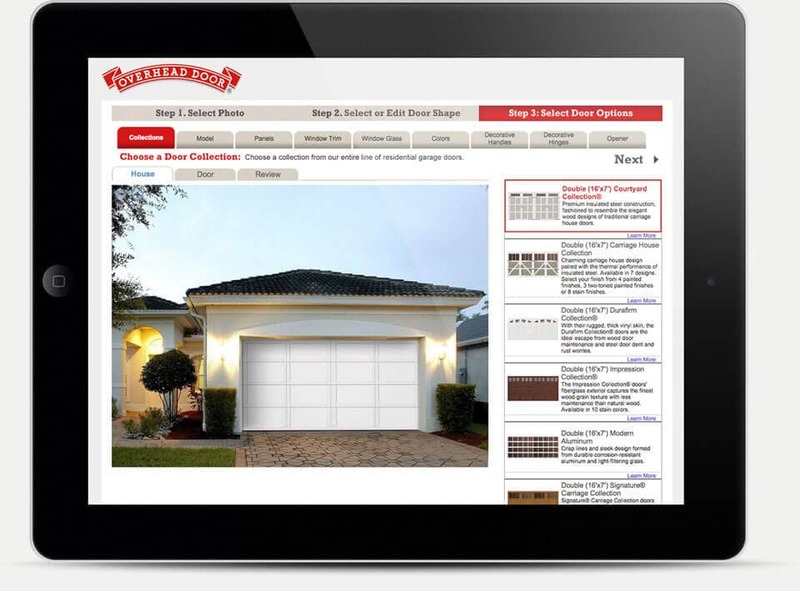 See what a new garage door will look like on your own garage. “…our installer, was prompt, professional, friendly, very on task, cleaned up entire work area! Wish we could have kept him all summer! 🙂 You are a seamless team, from your phone receptionist – Peter – his visit – bid – date set – install – We will recommend Overhead Door Company of the 7 Rivers Region to anyone! Select Commercial or Residential below to view related products, services and support.